Star Wars Celebration 2016 Just Added More Tickets! 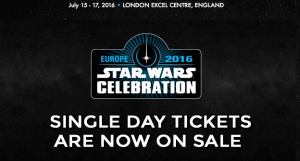 Star Wars Celebration Europe this coming July, we have added more tickets! 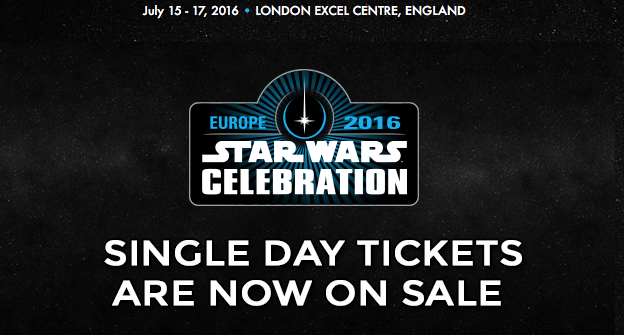 Single day tickets for Star Wars Celebration Europe are now on sale at www.StarWarsCelebration.com.